Atomic force microscopy (AFM) is utilized for surface measurements with atomic-level resolution — dimensions that are much beyond the highest resolution of optical microscopes. AFM is known to be a noncontact process, with forces existing between the object surface and a very fine measuring tip exposing information about the chemical surface condition, topography, defects, and so on. As an established technique, AFM is applied in research as well as in production with several applications like semiconductor inspection, materials research, and nano/biotechnology life sciences. The high spatial resolution demands extreme precision for positioning both the sample and the measuring tip. For this scanning technique, piezo-flexure scanned nanopositioning stages offer an ideal solution since they afford sub-nanometer resolution together with high scanning rates and rapid response. Although AFM is not a novel technique, a “low noise metrological AFM” developed at the PTB (German Institute of Standards and Technology) is taking this method to the next level (see Figure 1). This advanced system will be used for traceable measurements of step standards (used for calibrating other AFMs) and also for CD critical dimension (the smallest reproducible structures) measurements in the new generation of semiconductors. Two measurement techniques are available, depending on the application. In the area scan mode, the AFM tip is oscillated with constant frequency and amplitude and brought close to the sample at working distance. This is followed by scanning the sample under the tip. If the distance differs at the time of scanning, a change occurs in the amplitude and frequency of the tip, and the sample’s Z-position is adjusted in real time until the oscillation remains constant. The difference in the Z-position along with the X and Y coordinates, which establish the spatial resolution, subsequently provides the topography data of the sample surface. Yet, for surfaces edges that have steep structures, the area scan technique does not give sufficient detail. This problem is overcome by the “Single Point Probing” mode. Here, the positioning device gradually reaches a known step to determine it precisely (see Figure 2). The direction of motion is the surface normal of the step, that is, three active axes are needed to position the sample. The typical “curve of force,” caused by changing amplitude, frequency, and phase of the tip oscillation at varied parts of the step, is eventually captured. The measurement is again made at varied points, until the whole step is mapped. Although this measurement technique is rather slow, it provides highly accurate information about topographically steep areas, that is, high-aspect ratio. 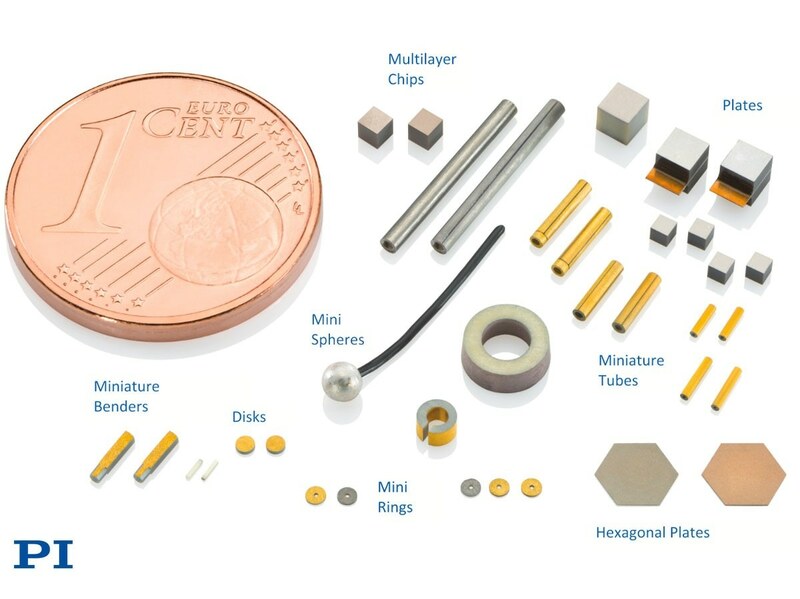 For instance, it is suitable for quantitative measurements of semiconductor structures that have extremely small dimensions between 10 and 20 nm. It is essential for the multi-axis sample scanner to fulfill high dynamics and precision requirements in both measurement techniques, especially with respect to resolution. Since the spatial resolution is directly associated with the position resolution of the positioning system, the multi-axis sample scanner should resolve down to the sub-nanometer range. Simultaneously, there are high requirements when it comes to dynamics. A higher planar scanning speed can be realized if there is a higher scanning speed in the Z-position. Higher speed means higher quality data and faster measurements at the same time because less time is available for position drift owing to the shorter measurements. Considering the aforementioned reasons, PTB opted for a parallel-kinematics piezo-flexure guided nanopositioning system (see Figure 3). The closed-loop six-axis system, engineered and developed by market leader PI (Physik Instrumente), offers better than 0.1 nm positioning resolution and 12 µm working ranges in three linear axes. For error compensation, three rotary degrees of freedom are utilized. In spite of offering motion in all six degrees of freedom, the positioner has to be compact enough to be integrated into the AFM. Since the AFM is applied for quantitative measurements, both absolute accuracy and position reproducibility are important parameters. If piezo-flexure positioners are properly designed, they offer vibration-free, play-free, frictionless motion — perfect conditions to accurately position and scan the sample in XY and Z planes. The three additional rotational axes used to compensate parasitic angular errors result in unmatched multi-axis precision. Stability and precision are further improved through a high natural frequency above 1.4 kHz (at a load of 0.3 kg) because the measurements are not affected by external acoustic interferences. For the latest AFM, PTB applies external differential interferometers to directly measure the motions between the sample and the AFM head in all six degrees of freedom. Excellent linearity, very high dynamic bandwidth, and remarkably high resolution in the 10-picometer range are provided by the interferometers. Compared to the stage-internal direct metrology system based on capacitive sensors, this metrology technique is even more direct. By determining the position directly off the sample, disturbance effects like warping or drift between the sample and the moving stage platform are removed, further improving the overall accuracy. The interferometer signals are conveyed to a multi-axis digital piezo controller (model PI, E-712) through a serial data stream. This controller can be accurately adapted to the positioning system and includes complex error compensation math for all six axes. In addition, the controller offers finely adjusted linearization algorithms for a highly uniform run and fast feed motions with the highest force. By using parallel kinematics in conjunction with interferometric measurement of all six degrees of freedom, the E-712 multi-axis digital piezo controller can rectify unintentional parasitic crosstalk (for example, induced by external forces) in real time, using corresponding algorithms. Before starting the measurement, initialization is done using absolute-measuring, capacitive position sensors incorporated in the piezo stage. At the time of initialization, the piezo stage depends on position data of the internal sensors to reach a defined starting position. 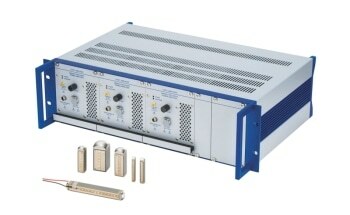 For the measurement, the external interferometers control the servo loop of the piezo stage. Despite meeting the PTB standards, they are only capable of measuring motion instead of absolute positions. The E-712 multi-axis digital piezo controller (see Figure 4) can operate in two closed-loop modes — external (interferometric) and internal (capacitive) capture of the exact values, a prerequisite for the ultra-high precision surface topology measurement system created by the PTB. The benefits of the piezo-based motion systems are quite substantial, and the drive moving the measuring tip to the sample is also built on the piezo effect — a PiezoWalk® long travel linear motor. The motor design uses a combination of lateral and longitudinal piezo actuators to shift the AFM tip over several millimeters with nanometer resolution to within the sample’s working distance, prior to the start of the measurement. After reaching the required position, the self-clamping, high-force drive stays in a highly stable position so that additional high-frequency oscillations are not generated between the six-axes positioning system and the AFM head. This information has been sourced, reviewed and adapted from materials provided by PI (Physik Instrumente) LP, Piezo Nano Positioning. 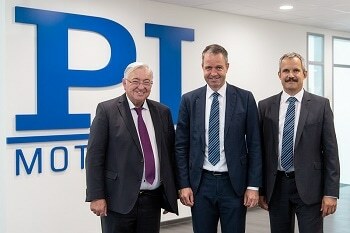 For more information on this source, please visit PI (Physik Instrumente) LP, Piezo Nano Positioning.